Building your own trailer? Remodeling? Or just taking care of the normal maintenance? Let us build you the RV or camper table you need. With many sizes to choose from, no matter what you need, we can build it. We specailize in replacement RV and camping trailer tables, and much more. You design it, we build it! 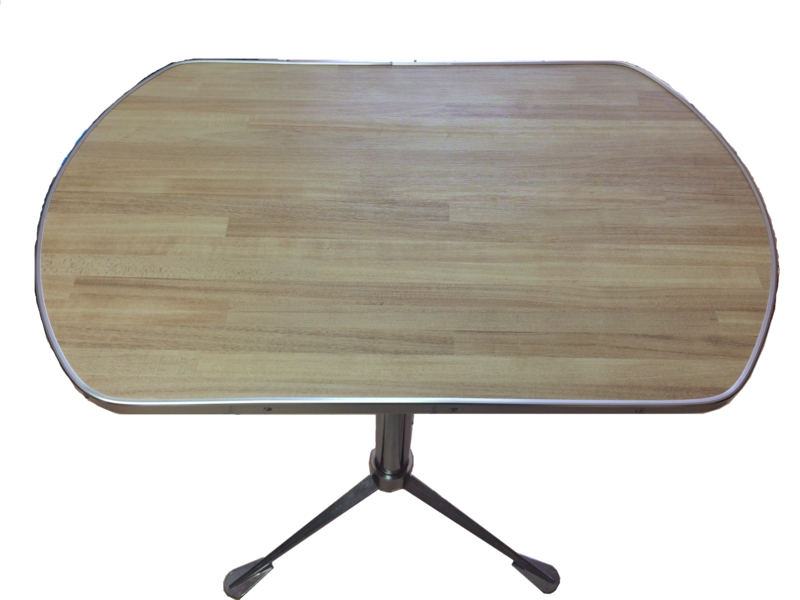 These quality built RV tables are a great addition for a project trailer or camper. We use only the finest plywood and heavy duty aluminum edge trim on all of our tables. These tables are great for the do it youselfers! We buy for cash, we sell for cash, and we make deals! We ship all over the United States and Canada! Serving all of San Diego, Orange County, Los Angeles, Riverside, El Cajon, La Mesa, Santee, Lakeside, Ventura, San Jose, San Francisco, Sacramento, Bakersfield, Fresno, El Centro, Phoenix, Yuma, and more! Give us a call. (619) 442-4703. These tables include Free Shipping to the lower 48 States! Round RV Table 25" Daimeter. Height 33"